Definition at line 56 of file lltransfersourcefile.h. Definition at line 41 of file lltransfersourcefile.cpp. Definition at line 47 of file lltransfersourcefile.cpp. References llendl, llerrs, and mFP. Definition at line 126 of file lltransfersourcefile.cpp. References LLTransferSourceParamsFile::getDeleteOnCompletion(), LLTransferSourceParamsFile::getFilename(), mFP, mParams, NULL, and LLFile::remove(). Definition at line 90 of file lltransfersourcefile.cpp. References FALSE, llendl, llerrs, LLTS_DONE, LLTS_ERROR, LLTS_OK, mFP, LLTransferSource::mLastPacketID, NULL, S32, and TRUE. Definition at line 55 of file lltransfersourcefile.cpp. References LLFile::fopen(), gDirUtilp, LLDir::getDirDelimiter(), LLTransferSourceParamsFile::getFilename(), llendl, LLTS_ERROR, LLTS_OK, llwarns, mFP, mParams, LLTransferSource::mSize, and LLTransferSource::sendTransferStatus(). Definition at line 143 of file lltransfersourcefile.cpp. Definition at line 149 of file lltransfersourcefile.cpp. Definition at line 85 of file lltransfersourcefile.cpp. Definition at line 77 of file lltransfersourcefile.h. 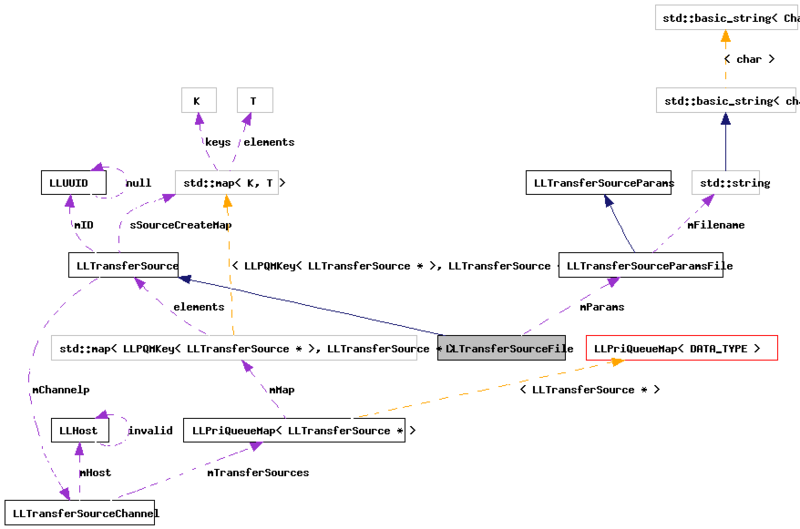 Referenced by completionCallback(), dataCallback(), initTransfer(), and ~LLTransferSourceFile(). Definition at line 76 of file lltransfersourcefile.h. Referenced by completionCallback(), initTransfer(), packParams(), and unpackParams().